It’s here. After months of designing, building, testing, and beta-ing, we’re happy to announce that as of today, Stack Overflow for Teams has launched and is available to everyone! It often feels like developers have to know everything, constantly juggling dozens of tools, languages, libraries, and frameworks. To do this, they have to be able to quickly find the information they need in order to get back to writing software. When that information is public, all you need is a quick search on Stack Overflow to turn up an answer and be on your way. But when that information is internal and private, it’s a maze of stale wikis and lost emails. Stack Overflow for Teams helps bridge that gap by bringing the power of Stack Overflow Q&A to a private space just for you and your team on stackoverflow.com. Ask and answer questions about all those proprietary, top-secret things that you can’t post to a public audience and create an accessible set of knowledge that you can come back to time and again. (No more having to re-answer the same question over and over again in chat!) It uses the same Q&A format, organization, and experience that you know from SO to help your team easily capture, organize, and find information. Stack Overflow for Teams doesn’t just provide you with the existing feature set of Stack Overflow, it also has new features that make it easier for new users and entire teams to use it, like guided onboarding for getting started, revamped tag watching and email notifications, and Slack integration. You can also access all of your team’s data through our API. Best of all, this all happens on stackoverflow.com — which your team probably already visits daily. When you search on stackoverflow.com, the private Q&A is also integrated into those search results so you can access both your private information and the wealth of knowledge from the existing community all at once. Over the last two years, dozens of large companies have adopted Stack Overflow for Enterprise for their own standalone, internal knowledge sharing communities in order to make proprietary information more easily discoverable. While Enterprise works great for these large (500+ developer) organizations, we needed to do something different for smaller teams. Anyone who has deployed new software, particularly anything involving a knowledge sharing or community building, knows how hard it is to get users to come and show up in a new place. You need a lot of users and a lot of activity at the right time or you end up with a ghost town that nobody has any interest in. Drawing from our own experience in building hundreds of public and private communities, we built Stack Overflow for Teams to overcome many of these traditional challenges with adoption by placing the knowledge in a private space on stackoverflow.com. The combination of our onboarding tools, integrations, and hosting everything in one central location, means Stack Overflow for Teams works for any size group. During beta, we’ve seen teams as small as five and as large as 200 adopt Stack Overflow for Teams successfully. 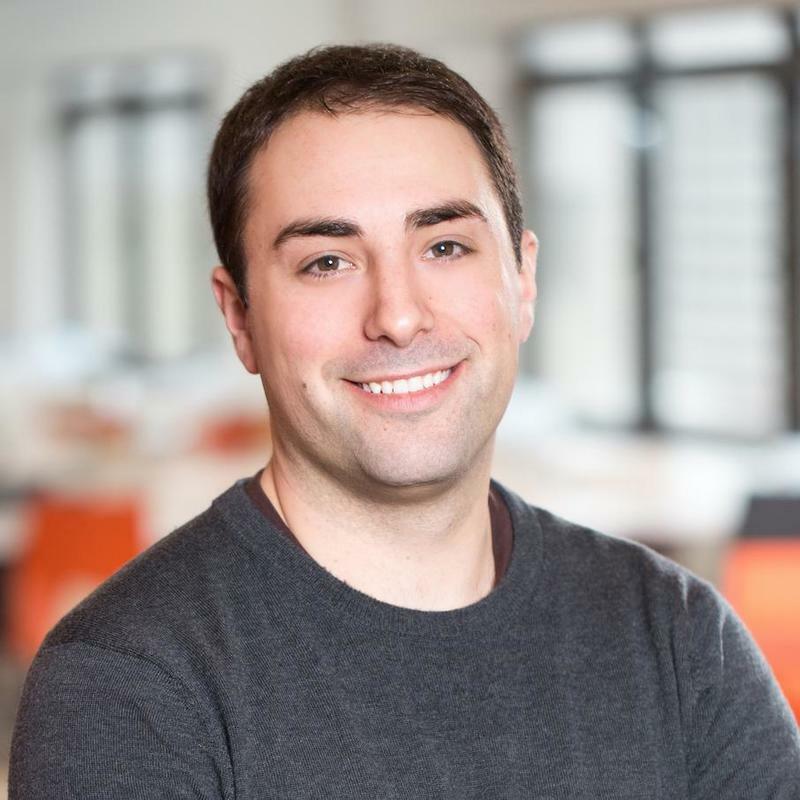 Tim Golen, Engineering Lead at Expensify, summed it up pretty well: “We needed a good way of passing down knowledge between team members, because we saw the same questions being asked over and over in our instant message channels. Almost immediately, we found that the Search function in Teams returned relevant results in a quicker, more accurate way than chat would. We anticipate Stack Overflow for Teams increasingly becoming our go-to resource for knowledge-sharing.” We see similar results not just at our other beta users, but also internally through our own usage of Stack Overflow for Teams. Stack Overflow for Teams is available to everyone now — there’s a 14 day free-trial and after that it’s only $10/month for your first 10 users (additional users are $5/month). All you need to get started are a few teammates and questions that you know come up over and over again — we’ll guide you through the rest. So go create your Team and let us know what you think! PS: You can read up on the prior work we did building out Teams and keep up with new developments by following the For Work tag here on the blog. Very exciting! Will definitely be checking it out. Is there a robust export feature? The read API is cool for programmers, but for work, there’d have to be assurances that the data can be exported at any time. The “Get Started Now” mentions the trial period twice, one mention could be removed. I second Pekka’s query about export. What are the possibilities there? Also, what kind of assurances are made about data privacy/security? So this is a great addition. What about if I don’t necessarily want this to be private? I own a code that is publicly available and people ask lots of questions about it. It does not have thousands of users, but about 100 users. Does it make more sense to use Stack Overflow for Teams or should I just create a custom tag for my code? This is pretty exciting. I’m wondering about Slack integration – how feasible would it be to set up a bot to post new questions to our internal Slack? I didn’t see webhooks in the SO API. @Carl – that’s exactly what the Slack integration does – just select tags, types of updates (questions, answers, etc), and a Channel to have it post in. Any future plans for a self-hosted enterprise version? This product would pretty much be unusable as a service for any HIPAA compliant industries. We currently offer Stack Overflow Enterprise (https://stackoverflow.com/enterprise) which can be self-hosted or run in a private cloud. So…not exactly “new”, is it? This was more-or-less the original model customers could pay for several years ago in 2009 when StackExchange 1.0 was launched (https://www.zdnet.com/article/find-the-answer-to-anything-with-stackexchange, https://readwrite.com/2009/10/12/stackoverflow-shares-its-mojo, https://readwrite.com/2010/05/04/stackoverflow_business_funding) … way before Area51 came around to help free communities get going. Is it possible to reimport the json data back into the team? It would be nice to resume teams if they ever get disbanded for any portion of time. So, for a team of 10, it’s actually $1 per user per month. For a team of 20, it’s $3 per user per month. Even for a team of 50 it’s only $4.20 per user per month. I’d love for SO to clarify the pricing. My initial read on the pricing was $10/mo/user or $100/mo for 10 users. After reading it a second time, it does sound more like $10/mo for 10 users. SO, please clarify how much 10 users would cost per month. Give reasons why you think database systems support data manipulation using a declarative query language such as SQL, instead of just providing a library of C / C++ functions to carry out data manipulation. Tried all day to create a team, but no e-mail was ever sent. Yes, I checked my spam and junk folder. Could not submit a support request as the Teams support form requires a Team URL. Bit of a Catch-22, that. Are you planning to support G Chat integration in addition to Slack? As a Salesforce ISV the site we use the most is https://salesforce.stackexchange.com. I’ve created a trial team and a sample question/answer and can find that through https://stackoverflow.com/ but not through https://salesforce.stackexchange.com. Can you provide some explanation of this? Hi Keith – currently Teams are only available on stackoverflow.com but not on any of the other Stack Exchange sites. Thanks Alex. I’ll watch out for news on this in the future – likely or unlikely to happen? I wonder if this would be useful for my team, currently consisting of me. I have so much stuff to document and no easy way to do it. Stackoverflow’s search and tagging are so superior to anything I can find but I think it might be overkill having the Q&A format for just me. Any plans to release a version of the documentation/wiki that used to be on stackoverflow but for private users? I know it was shut down but it was a great platform in my opinion. Self hosted would be great. There’s really not anything else comparable on the market at the moment – believe me I’ve been looking. Have you ever tried Trello? It’s a great team repository tool and its free. I came here to find out the same thing. I am excited about StackOverflow for Teams but it would be great to get rid of our aging wiki at the same time. Q&A is great, but some things just work better as a longer document with WYSIWYG editor. I think there is a need for people to get answers which require some familiarity with known languages which are important in the quest for better AI which the future is seemingly pointing to. Whatever anyone says about anything for which there is a dollar attached to, if it involves more than just a very small amount of time for someone to be acquainted with which those of professional skill know you will have to be paid for rather than pay for participation. If you have a real commitment, however in a spoken for workplace, then there will be a need for money to lay the groundwork for which genius must always be the respondent. When the level of difficulty of the problem solving will always go undervalued because of the demands of participation, then expect nothing is good advice. There is always the possibility of a pleasant surprise. I am tickled that this is real. Great job. Now, all I need is my own software company. I love the idea, but it is completely unviable for very small teams (<10) that require self-hosting. I would also be interested in something like this. The company I represent is about 15 developers and 5 help desk staff. We all want to use this, but having full control of the propriety data is extremely important, as we are federally regulated. I hope they come out with smaller versions of the Enterprise. I wonder… You say “But when that information is internal and private, it’s a maze of stale wikis and lost emails.” I agree. But what is it about Stack Overflow for Teams that makes it better than a wiki in that the information does not become stale? Honest question. Awesome idea, but the pricing is awful. For small business – very reasonable, for medium business way to expensive, for large businesses… we’ll they don’t care. I think in case of my team, the Documentation platform would be more helpful than the Q&A platform. Any chances for it appear in the future on this new product ? I love the idea but I wonder what business model is this, in which the bigger the users base is, the more you pay per user. IMO you should encourage bringing more users (clients) by offering price reductions per person on large teams, not the opposite. Stack Overflow was revolutionary and saw a marked change in the way developers shared solutions. Whereas, this seems like a solution looking for a problem. Are there plans for an education edition? This would be great for our growing research group if the price was cheaper. I read through all the comments , but did not get answer to what we are looking for. We are small team but good number of customers and prospects who ask similar questions. We would like to host QA so that it can be accessible not only to team members (employees) but also to end customers or prospect. I am guessing this is not meant for that and just for internal documentation/QA. Is that correct? Very cool! if only I had a team to use this with. Note to self, hire a team! I was ever-so-briefly excited for this when I thought it was releasing as a plugin (or something) for Microsoft Teams… which would be a brilliant idea. Get on it! You could release it as Stack Overflow for Teams for Teams. Does Teams support any kind of support for hosting articles? This is an excellent platform for programmers, developers, teachers and students. I am teacher and have deep faith in the comments written over their by the programmer on the questions asked and solutions given. Will you have an offline version for teams too? Is there a similar but non-private product? We would like to use stackexchange engine as a QA platform for our customers so they can also help each other. More excited to many new awaited features. Pricing is good. Lets say if someone ‘leaves’ our team. And we want to assign his license to a new joiner. How would team be billed ? And what happens to the content posted by the old team member ? I don’t understand why teams enterprise is for companies over 500 employees. Our company has 170 employees in total but we have strong compliance rules because we are working for banks. It is absolutely prohibited to use tools like Slack or Stackoverflow-Teams for that reason. They have to be hosted on our sites in our private network. I don’t know the pricing for the “enterprise” solution of teams. But only my 8 member team would use it, maybe later more. We can’t pay “enterprice” license costs for it. So i wonder what are the costs for this, i guess there are many around the world with the same problem. I completely agree. The enterprise stuff starts at a whopping $100k.. which is RIDICULOUS. It definitely leaves the smaller groups in the dust.